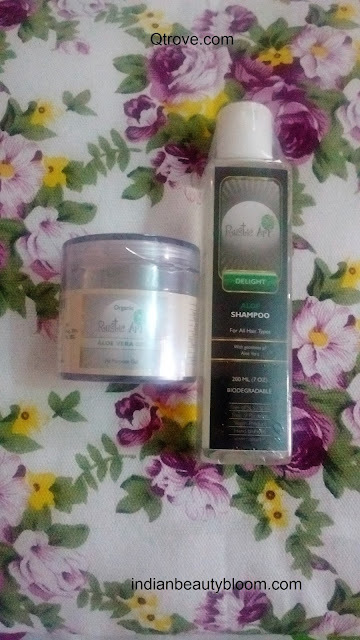 Today i am going to share my shopping Haul and experience with online store Qtrove.com . Qtrove.com is an online store to shop skin care products , Bakery products or food items and accessories like artificial jewelry and bags . This online store is quite different from usual ones as it sells handmade products from some Indian brands Like Rustic Art , Do Bandar , Bindu etc . 1.Home baked products like cakes and cookies . 2.Pickles , Jams , Chocolates , Sauces etc . 3.Bags , Note Books . 4.Artificial and hand made Jewelry . 5.Skincare and hair care products . So one can explore and shop some unique products from this site which is not easily available at other sites or stores . When i browsed the site for the first time i was amazed to see some great products and a good collection of products from various brands . The uniqueness of the site lies in the fact that it brings curated products from handpicked vendors and not just what every other site is selling . Since this my first order with them i decide to buy some Skin care and Hair care products . 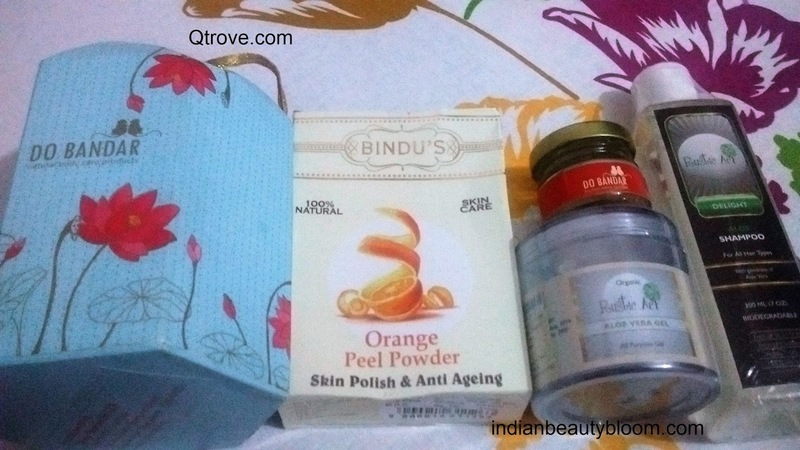 I browsed the site and selected few products which i liked and wanted to try . Total there were seven products and my bill amount was Rs 1019. They charge a small amount as shipping charge depending upon the city from where order is placed , for my order shipping charges was only Rs 40 , which was okay . I got my product with in a week of placing order . Product arrived in multiple shipments since vendors were different . First i got parcel from Rustic Art with two products. Then from Bindu and at last from Do Bandar . Now they have Reward System too , so when one shops from them one gets some reward points , then for some other activities like following them on social media etc one can earn some more reward points which can be used to get some discount coupons from them on their next purchase . I had ordered one Aloe Vera gel and one Aloe Shampoo from this brand . Price of Aloe Vera Gel is Rs 200 for 100 gms and Price of Aloe Shampoo is Rs 290 for 200 ml. 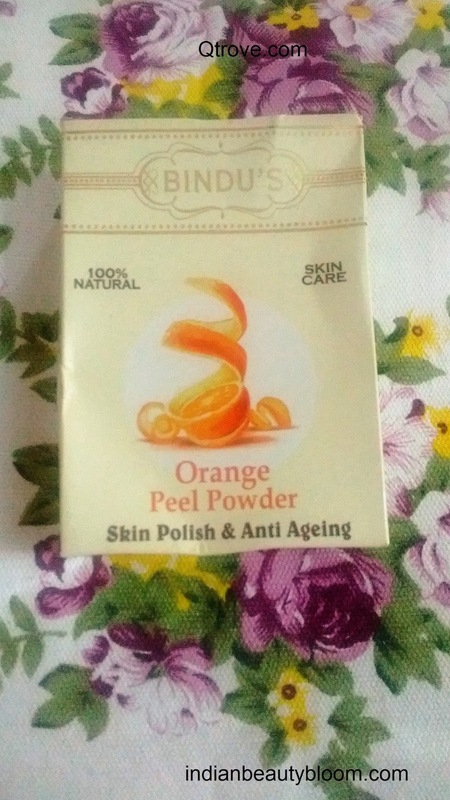 I had ordered only one product from this brand , its Orange Peel Powder which can be used as a Skin Polish , Price Rs 79 for 100 gms . I had ordered a Happiness Hamper from this brand which contains four products , three hand made soaps and one foot care cream , Price of this hamper is Rs 450 . So it was a good experience shopping from this site , Browsing and searching the site for products is quite easy , placing order is also easy , one can opt for various payment methods like via credit or debit card or one can opt for COD ( Cash on Delivery ). Product packaging was good , i got all the products in good conditions with out any damage or any other problem . 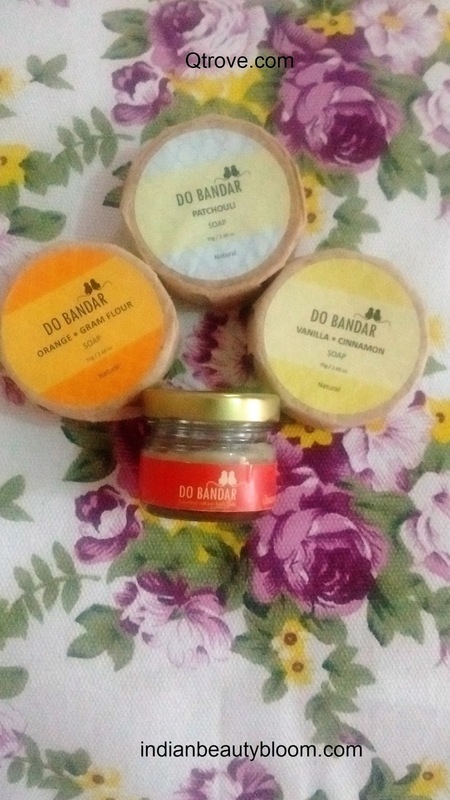 In fact i was too impressed with the packaging from brand Do Bandar , They had packed their products in a cute cardboard pack with all four products . One can browse the site and see some great products from various brands and shop what they want . And there is a Surprise for my Readers . We have a DISCOUNT COUPON of 20 % on First Online paid orders with value more than 200 . Use Coupon code BLOGIBB20 to get flat 20 % off on first order . Browse the site to check some unique products , place your order with this discount coupon to get a good discount and enjoy your products .